Explore the Confederation Chamber, an accurate replica of the Province House site where Canada was born. 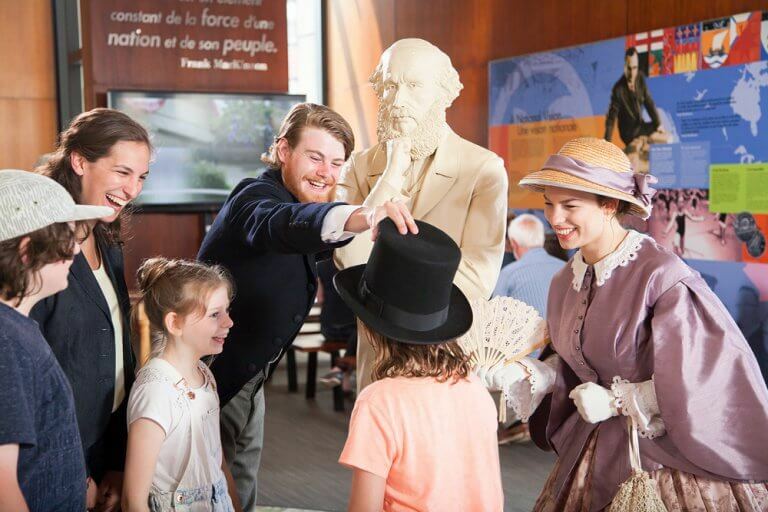 The Story of Confederation offers visitors the opportunity to experience Province House in Prince Edward Island National Historic Site and the Charlottetown Conference while Province House is closed for conservation work over the next three to five years. The Upper Foyer of the Confederation Centre of the Arts has been transformed into a stunning replica of the historic Confederation Chamber where the Fathers of Confederation met during the Charlottetown Conference. While there, watch Parks Canada’s new film, “A Building of Destiny”, which transports viewers back in time to the first eight days in September, 1864, when the discussions that took place at Province House would change the face of North America. This film also showcases related themes, including the First Nations context at the time of Confederation and the role of women in Victorian society.